entrusted to their care, but they often switched roles, as the men became captivated with the women's spiritual gifts. In narratives of such women, the male authors reflect directly on the relationship between the women's powers and their own. 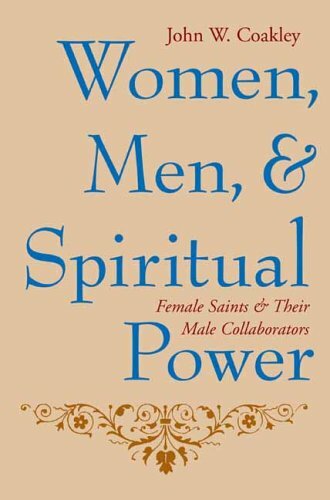 Coakley argues that they viewed these relationships as gendered partnerships that brought together female mystical power and male ecclesiastical authority without placing one above the other. Women, Men, and Spiritual Power chronicles a wide-ranging experiment in the balance of formal and informal powers, in which it was assumed to be thoroughly imaginable for both sorts of authority, in their distinctly gendered terms, to coexist and build on each other. The men's writings reflect an extended moment in western Christianity when clerics had enough confidence in their authority to actually question its limits. After about 1400, however, clerics underwent a crisis of confidence, and such a questioning of institutional power was no longer considered safe. Instead of seeing women as partners, their revelatory powers began to be viewed as evidence of witchcraft. Introduction. "You Draw Us After You"